A company’s reputation is as important as their products and services. Often times it takes one disheartened customer to voice their disappointment and suddenly, you’re seeing a drop in business. With the channels by which people may learn about your organization growing by the day, it’s vital to stay ahead of the chatter and in control of how the public at large views your business. 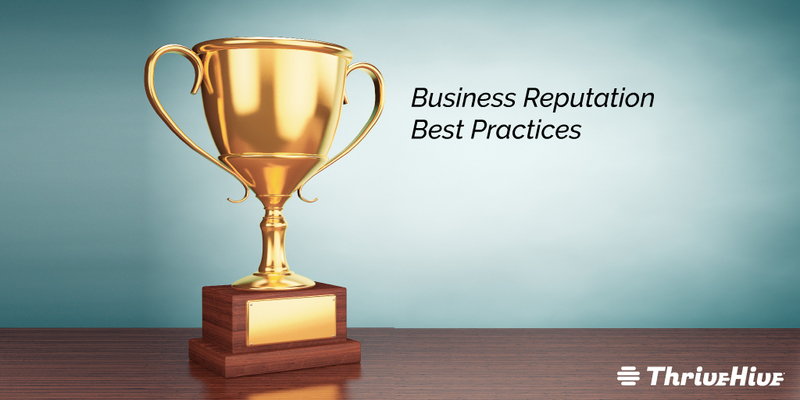 Here are some best practices you can implement to be sure you’re reputation remains in good standing. Your business reputation isn’t just your rating on a review site. It is the general feel of the public toward your business, based on your actions, that gets expressed by the public across online and offline channels; and those same channels by which others express their feelings toward your business are the ones you use to generate those feelings. Is your head spinning yet? Your business reputation is an entity in an of itself, neither fully in the public’s control nor fully in your control. This is why it’s so important to monitor your business reputation and be proactive in managing it. What’s better than a beautifully crafted response to public criticism of your company? A negative review that never happens -- because employees are satisfied at work -- or they feel free to express their dissatisfactions and seek redress offline. Although it takes time and effort, successfully managing online reviews is a critical component of employer brand management. Here are tips on how to head off some negative reviews as -- plus remedies to pursue when all else fails.